Nowhere is the subtle balance of art and nature more richly demonstrated and keenly felt than in the dramatic paintings of C. Ford Riley. Highly versatile and working equally well in watercolor, oil and acrylic, Riley draws upon on-site observation and field research to weave visual tales of the out-of-doors. 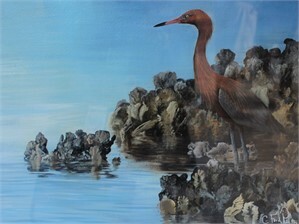 His paintings, rich in detail and dramatic in color, reflect a deeply personal relationship with the world of nature. The relationship extends far beyond the edge of the canvas as he is an ardent conservationist who rallies on behalf of Florida wildlife and habitat hard pressed by current development practices. Although he acknowledges the necessity of development, he advocates seeking a balance between the needs of man with those of nature. 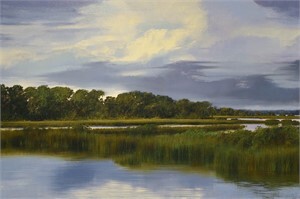 Praised as the Audubon of the 1980's," Ford's paintings work because he paints only what he knows. As a native of Jacksonville, Florida, he has spent much of his life wandering the backwoods and byways studying birds and their environment, maintaining journals documenting the birds habits and unique habitats. This collection of field notes and sketches serves as an extensive source of ongoing material for his paintings. "I paint only the things I'm familiar with. If I can't smell it or feel it, I can't conceivably paint it. I paint my area - the South. I was born and grew up in Florida, and I spent most of my life studying the constant evolutions here." 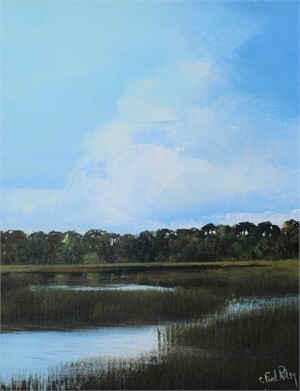 Riley's studio is located on the banks of the St. John's River. It's nestled in the midst of several wooded acres covered with ruella, wild azaleas, bracken, chain nettle, cinnamon and royal fern, oak trees and magnolias. 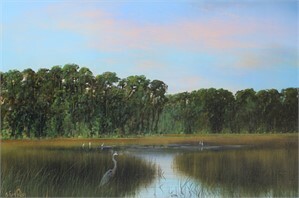 This foliage and the birds and animals of the area are often seen in the artist's paintings. Not only does this sanctuary serve as a constant source of subject matter, it also provides Riley with great inspiration. "It's a beautiful place. I can't go far away from it because I don't think I could survive." Each painting begins as a series of drawings to be developed and refined to conform with the artist's ideas. "I like to create illusion. Once I actually start painting, the composition evolves through a series of washes, layers of color to achieve the look I want. At first glance, my work gives the appearance of realism. Upon closer scrutiny, it becomes apparent that I employ a multitude of brush strokes which are probably more commonly associated with impressionism." His late mother, Maureen, who encouraged him to forego a business career and pursue his passion for art, fostered Ford's artistic talent. "In the beginning I spent a lot of time reading, painting and making mistakes. I always tried to be a little better than I was the week before. I still abide by that theory." Riley's paintings not only meet the demanding standards of accuracy and detail found in science, but appeal to discriminating collectors of fine art, as well. 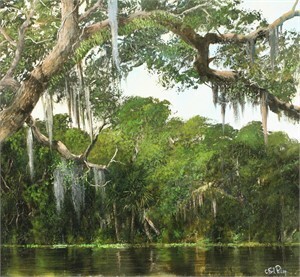 His work has been recognized in national and international art competitions, including the Ducks Unlimited Art Auction, the Southeastern Wildlife Exposition, the Federal Duck Stamp Competition and the Southern Watercolor Society Exhibition. In 1983, his paintings of "Cooper's Hawk and Fall Leaves" was selected for "Birds in Art", the world's most prestigious bird art exhibition sponsored by the Leigh Yawkey Woodeson Art Museum, Wausau, Wisconsin. 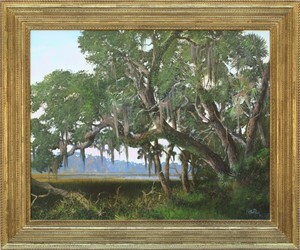 His original paintings are in art galleries, institutions and the homes of prominent civic leaders, corporate executives and members of Congress. 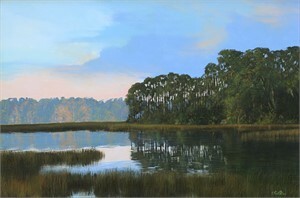 No matter how one chooses to describe the fine art paintings of C. Ford Riley…they communicate a story to the viewer.